Who doesn't want a foundation that feels like a second skin on your skin? Continue to read on about my review about this super powerful formula that so thinks and lightweight on the face when you use it! 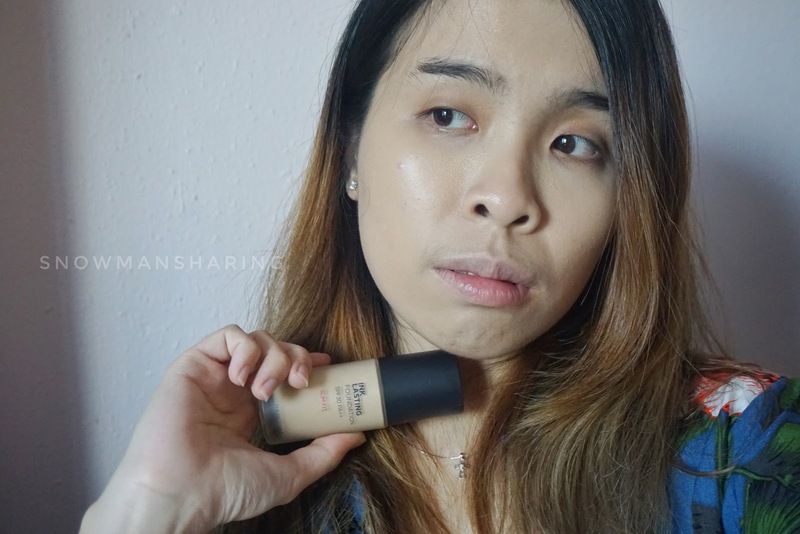 I really love how the feeling of this foundation sits on my skin! With their long-lasting formula, my makeup base looks perfect the entire day. The packaging of this InkLasting Foundation is small and nice to keep! I love that it is not a big bottle of foundation to use. But is still a cute bottle that easy to grab and easy to pump an adequate amount of foundation that I need. 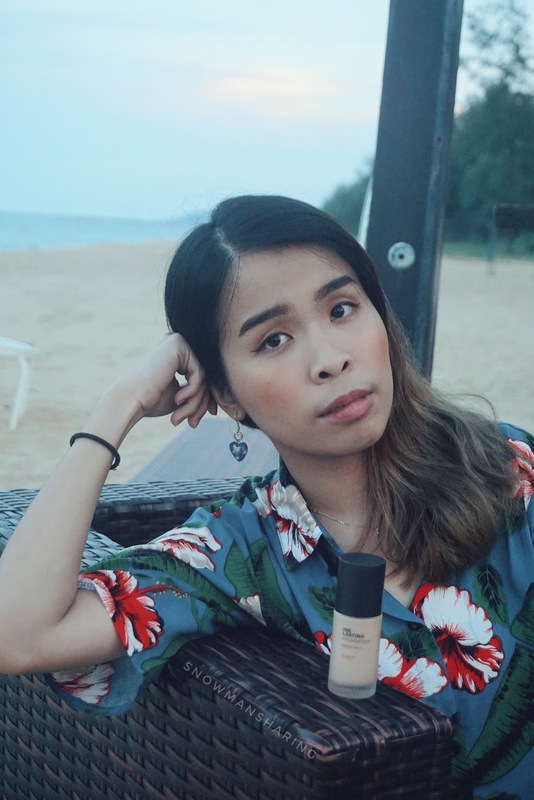 Also, you don't need to pump a lot for a full coverage face though, I use around 50 cents size of the foundation and I can apply nicely all on my face. 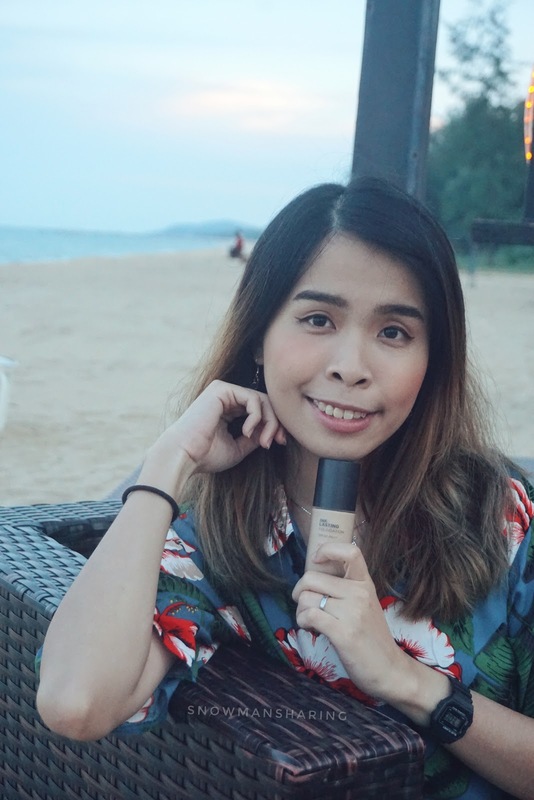 Whereas the coverage of the foundation is normal to medium coverage, you can build the coverage on the area that you need more coverage like your dark eyes circle or any red spots on your skin. The coverage is supernatural and not too fair or thick for my liking. 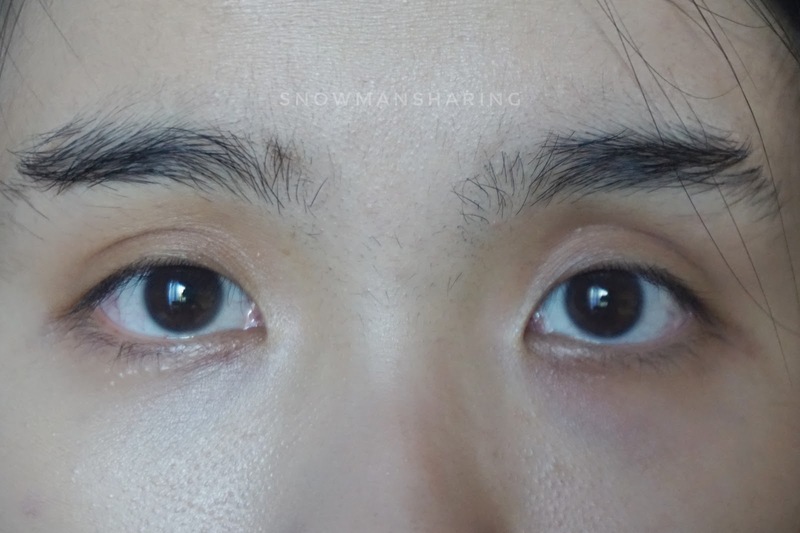 For the top image, you can see that one side of my dark eyes circles has been covering up with a thin layer of InkLasting Foundation. The texture of InkLasting Foundation Slim Fit is watery when you first squeeze out. But when you apply evenly all over your skin, it blends so nicely into the skin. 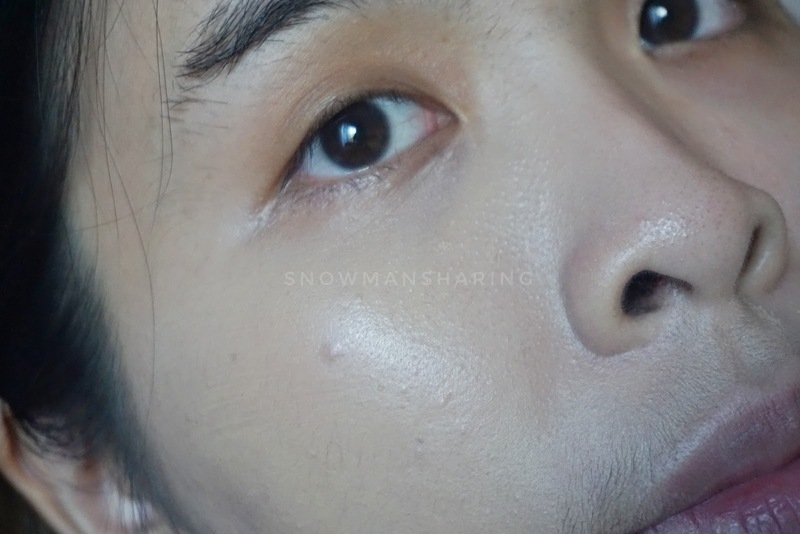 It gives your skin dewy look at first but later it sits nicely on my skin. Love its super lightweight texture which feels like I did not wear any foundation on my skin! The color I get is N201 which is my previous cushion foundation shade. I bring THE FACE SHOP InkLasting Foundation Slim Fit with me during my beach stay-cation! Despite sweaty and hot weather by the beach, my makeup base stays and sits so well on my face. I did not need to retouch as well throughout the day as well. With also SPF 30 PA++, it also keeps our complexion shield from the sun too. A good foundation keeps your skin from drying out, provide moisture the whole day and not forget providing sun protection for your skin! Lastly, their secret ingredient which is Biosaccharide Gum-1, that gradually enhances the product moisturizing effect! 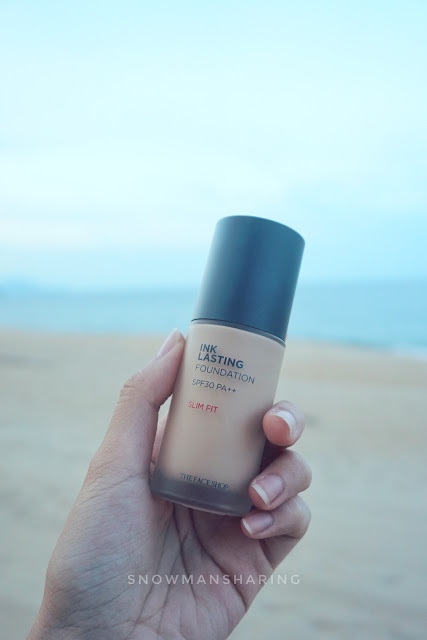 Therefore, your makeup look using THE FACE SHOP InkLasting Foundation Slim Fit tends to stay a long time on your face without drying or cracks! 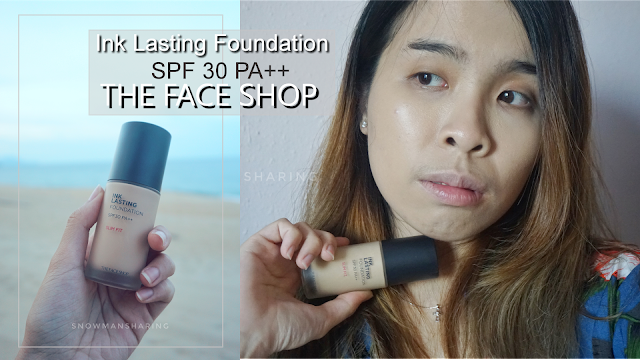 Check out my short simple video on how I apply THE FACE SHOP InkLasting Foundation Slim Fit. Where to get Cheap Summer Rattan Bag?? Huda Beauty is in Malaysia Finally! !